RD Loyalty Logistics Pvt. Ltd., Mumbai. Manufacturers of customized gifts in wood, metal, acrylic & glass, mementoes, silicone wristbands, badges, lapel pins, bags, tshirts, pens, caps etc. 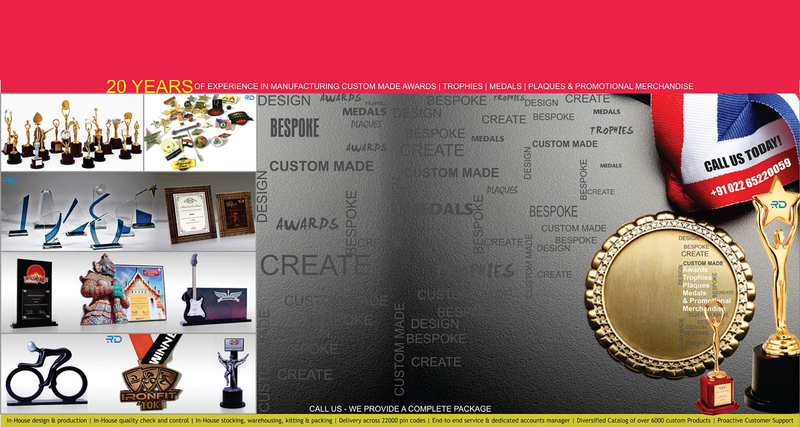 We are the leading manufacturer of Customized Award Trophies, Plaques, Medals, Customized Badges.